Cary Williams somehow has the 4th highest salary cap figure on the Eagles' roster. According to OverTheCap.com (via BleedingGreenNation.com), the Eagles have an estimated $18,954,544 in cap space heading into the offseason, which is the 16th most in the NFL. The Eagles of course have to re-sign Jeremy Maclin, and have a wide assortment of other positions they could stand to upgrade by signing away other players in free agency, such as these guys. Trent Cole, OLB: $11,625,000 cap figure in 2015, savings of $8,425,000 if cut. Cole did a good job transitioning from his role as a 4-3 DE for the entirety of his career to a 3-4 OLB the last two seasons. But clearly, with Cole turning 33 during the 2015 season, his most productive days are behind him. 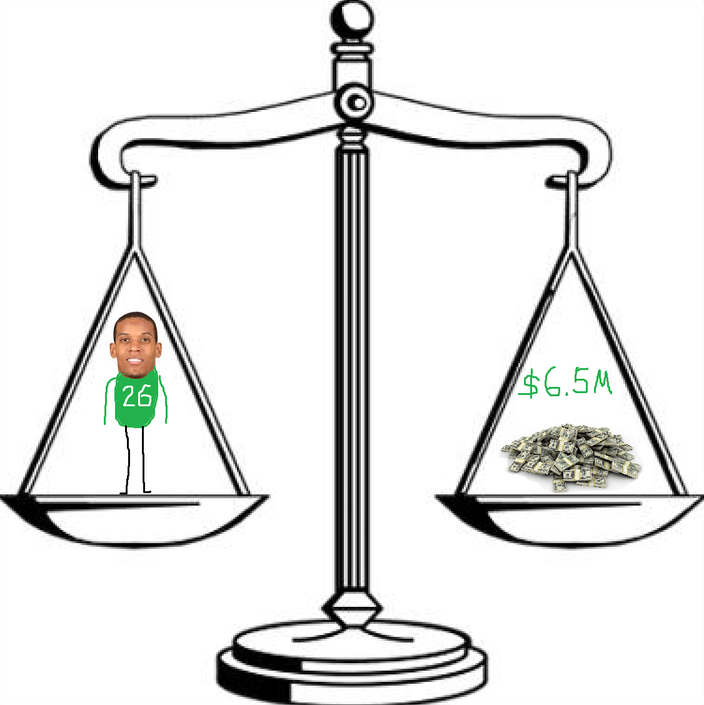 Cole may be amenable to a pay cut, but there is somewhere in the vicinity of a 0% chance the Eagles keep him at his current salary cap figure. Cary Williams, CB: $8,166,668 cap figure in 2015, savings of $6.5 million if cut. Such a tough decision there. DeMeco Ryans, ILB: $6.9 million cap figure in 2015, savings of $6.9 million if cut. The Eagles are severely lacking for ILB depth, so they need DeMeco Ryans and will likely play "wait and see" with him. If Ryans can come back from his torn Achilles and be something close to the player he was in 2014, then overpaying him a bit is a necessary evil. However, when the Eagles get to training camp, if they determine that his Achilles causing him to decline further, he could be a player the Eagles cut to make room for their 2016 free agents, which could be a costly bunch. Todd Herremans, OG: $5.2 million cap figure in 2015, savings of $2.8 million if cut. Assuming he recovers from a torn bicep, Herremans (33 in October) likely isn't going anywhere this offseason, especially on a team lacking offensive line depth. Saving 2.8 million off the cap isn't worth cutting a player who has established continuity with Jason Kelce to his left and Lane Johnson to his right. Maybe in 2016, when his cap savings would be $5 million. Brent Celek, TE: $4.8 million cap figure in 2015, savings of $4.8 million if cut. "When you talk about what a Philadelphia Eagle looks like," Kelly said, "Brent Celek is what a Philadelphia Eagle looks like." Kelly called Celek "everything you want," elaborating that he is the "ultimate" professional who is "totally selfless." From Kelly, there are few better compliments. Because for all the attention devoted to Kelly's scheme and innovation, he's as devoted to how a player fits within the culture. Celek is the best blocking TE on the team, but is that worth the $4.8 million he's due in 2015? Secondly, are the Eagles more dangerous offense with Celek on the field than they are with Zach Ertz? In my opinion, the answer to both questions is no. James Casey, 'Swiss army knife' who almost never plays in the regular offense: $4 million cap figure in 2015, savings of $4 million if cut. In fact, Casey has made $24,242 per offensive snap since he's been an Eagle. Casey has had trouble getting on the field because Celek is a better blocker, and Ertz is a more dynamic receiver. Casey also has to worry about 2014 undrafted free agent Trey Burton gaining an extended role as a "do a lot" player with many of the same versatile traits. While Casey's production in the regular offense is lacking (which may not necessarily be his fault), do you mess around and cut one of your most valuable players on the best special teams units in the league? I'd lean toward no. Nolan Carroll, Dime CB: $2.9 million cap figure in 2015, savings of $2.9 million if cut. Paying $2.9 million to a dime CB who the coaching staff didn't trust to start over Bradley Fletcher is excessive. The Eagles can't cut Carroll until they have enough pieces to replace him, but watch for Carroll to have his cap number working against him when the final 53 is determined before the season begins. LeSean McCoy, RB: $11,950,000 million cap figure in 2015, savings of $7,550,000 million if cut, savings of 8,550,000 if traded. The Eagles couldn't possibly get rid of DeSean Jackson and LeSean McCoy in consecutive seasons, could they? Of the players on this list, with the exception of maybe James Casey, McCoy is the only player in this article with any kind of trade value whatsoever. McCoy has a huge cap number in 2015, and while he is willing to restructure (translation: take more guaranteed money, which every player would want to do), he is not going to listen to any pay cut talk. McCoy's situation could be a 1000 word post on its own (and maybe it will be later this week), but the reality is that the Eagles don't have another running back on the roster ready to take over for McCoy is he were to go the DeSean route. Darren Sproles is a change of pace guy only, and Chris Polk has not proven he can stay healthy. 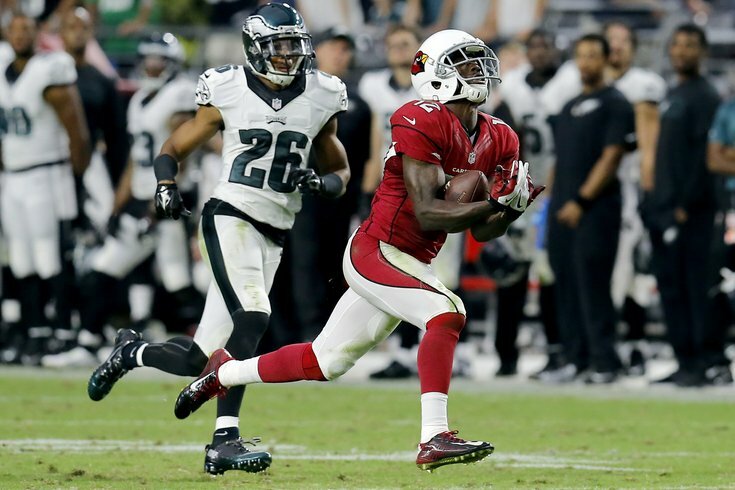 The only way the Eagles could ever jettison McCoy is if they already had another proven quality runner in place first. And obviously, as noted above, there are plenty of other ways the Eagles could save cap space before they need to do something drastic with McCoy.